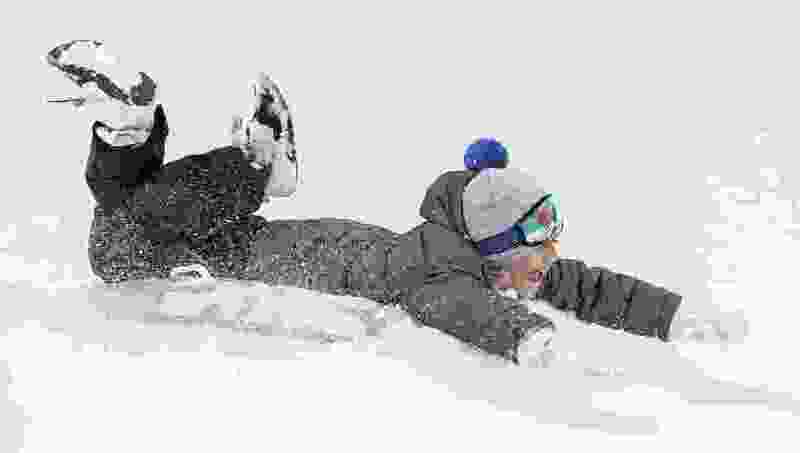 Leah Hogsten | The Salt Lake Tribune There's a chance of more snow in the Salt Lake City area on Friday, but it will be mixed with rain and temperatures are supposed to rise into the 50s — so no sledding is expected. After the first weekend of spring brought still more snow to northern Utah’s mountains, and a bit of a chill of Monday morning, temperatures are expected to rise. And there’s no snow in the forecast — until maybe, Friday. According to the National Weather Service, a high pressure system will generate a “substantial warming trend” during the first half of the week. Temperatures in the Salt Lake City area are expected to reach about 60 on Monday afternoon and about 70 on both Tuesday and Wednesday. There’s a chance of showers on Wednesday evening, and rain is likely after midnight when the chance of precipitation rises to 70 percent; that will continue through Thursday. And there’s a chance of rain and possibly snow after midnight Thursday into Friday, but temperatures will rise into the lower 50s by Friday afternoon. The chance of snow is higher in the mountains; there’s a 60 percent chance in Park City on Friday. Salt Lake City can expect clouds Friday night through Sunday, with lows in the upper 30s and highs in the mid-50s. The NWS long-range forecast shows another storm system mid to late next week. There’s no rain (or snow) forecast for southern Utah this week. St. George and the surrounding area can expect highs in the 70s and lows in the 40s.